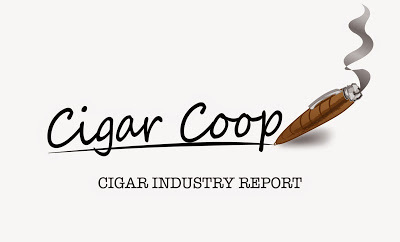 The Cigar Industry Report is a one stop place to catch up on the activity here at Cigar Coop. It is a combination of our news reports, cigar reviews, and assessment updates we do throughout the week. Finally, each week we will look back at Cigar Coop history. Look for this report every Saturday morning at 8am Eastern time. The La Palina Classic, a value-priced line introduced in 2012 by La Palina Cigars has undergone some big changes. Three new blends, that will be produced by General Cigar Dominicana in the Dominican Republic – La Palina Classic Connecticut, La Palina Classic Rosado, and La Palina Classic Maduro are being introduced. These three blends replace the original La Palina Classic that was being made at PDR Cigars for La Palina. Dunbarton Tobacco and Trust: The company announced the widespread release of the Muestra de Saka Exclusivo and Umbagog. Oscar Valladres Tobacco & Co: The company recently launched the 2012 by Oscar Rebirth line. Rocky Patel Premium Cigars: The company announced it is reintroducing the Wafe Size to its Java by Drew Estate line. Santa Clara Cigars: The distribution arm of Tabacalera USA announced the Romeo y Julieta Crafted by A.J. Fernandez, a collaboration between Altadis and A.J. Fernandez. House of Representatives: H.R. 564 is a proposed piece of legislation that calls for an exemption from FDA Regulation for premium handmade cigars. This week eight new co-sponsors signed on including: Rodney Davis [R-Illinois], Francis Rooney [R-Florida], Thomas Garrett Jr [R-Virginia], Michael F. Doyle [R-Pennsylvania], Brian Babin [R-Texas], Sam Graves [R-Missouri], Robert Wittman [R-Virginia], and Robert Pittenger [R-North Carolina]. The total number of sponsors is now 78. U.S. Senate: S.294 is the Senate companion bill to H.R. 564. This week no new co-sponsors signed on. The total number of sponsors remains at 13. House Bill 1136: This is legislation that was introduced by Rep Tom Cole (R-Oklahoma) and Rep Sanford Bishop (D-Georgia) to change the Grandfather Date for Deeming Tobacco products subject to FDA Regulation from February 15 2017 to 21 days after enactment of the regulations. Arkansas: Rep. Fred Allen has introduced legislation that would raise the State Smoking Age to 21. Idaho: The State Senate killed a proposal that would have raised the State Smoking Age to 21. March 4th 2011: We assessed theViaje WLP (White Label Project – St. Patrick’s Day) Candela. March 4th 2011: We assessed the El Primer Mundo Liga Miami. March 4th 2012: We assessed the Viaje Platino Reserva VPR No. 6. March 4th 2013: We assessed the East India Trading Company Red Witch. March 4th 2013: We previewed the CAO La Traviata Mochado. March 4th 2013: We re-posted a press release on the Recluse Draconian. March 4th 2015: We assessed the Cohiba Nicaragua N50 En Crystale. March 4th 2015: We reported on the release of Pi by United Cigar. March 4th 2015: We reported on the launch of the RoMa Craft Tobac El Catador de los Gran Robustos. March 4th 2016: We reported on the La Flor Dominicana TAA 48 release. March 4th 2016: We reported on the Nat Sherman Panamericana continuing as TAA Exclusive with the addition of three New Sizes. March 4th 2016: We reported on the list of retailers for the MoyaRuiz Pickle Juice.